No matter what your drink of choice is, there’s really nothing like a cold beer on a hot day. And just in time for summer, a slew of new beers are hitting LCBO shelves from around the world. Toronto Life has chosen their highlights, including a Belgian raspberry beer with only 2.5% alcohol, BC’s Tree Mellow Moon Pineapple Hefeweizen, with a touch of pineapple, and for those who prefer a beer with a punch, Omnipollo Nebuchadnezzar from Sweden which has 8.5% alcohol with notes of mango and citrus, and an ‘extra-bitter backbone’. 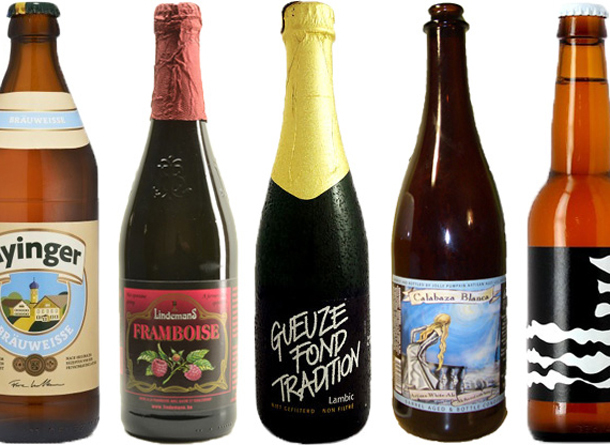 I’m most curious about Les Trois Mousquetaires Hors Série Gose from Germany. Here’s the description: A “gose” is a German-inspired sour wheat beer that’s brewed with salted water. This one is lightly hopped, dry and spiced with roasted coriander seed. It’s sour from start to finish, but not enough to make you pucker.